The Junior Grange Guidebook is available for download on this website. The Guidebook will assist you in understanding the steps and administration of forming and chartering a Junior Grange. The 1+ Junior Grange program is also included. 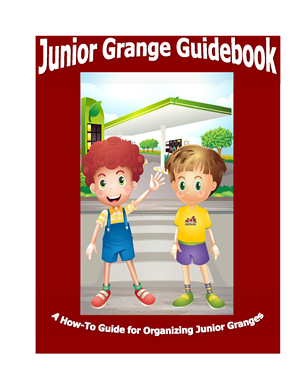 The Guidebook contains the procedures and forms you need to start your Junior Grange Program within your community. Each Community Grange is unique within its own area and so is your Junior Grange program.